The power and brains behind the Kangertech KONE Kit is the vigorous KBOX Smart MOD. 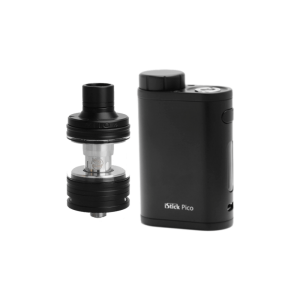 This marvelous device showcases an array of capacities, is remarkably powerful, and offers the versatility necessary to satisfy sub-ohm vapers of all sorts. 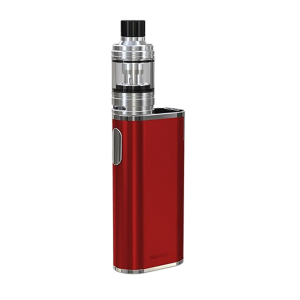 In all regards, the Kanger KBOX Smart MOD is a spectacular device that is sure to please even highly-skilled, expert vapers. 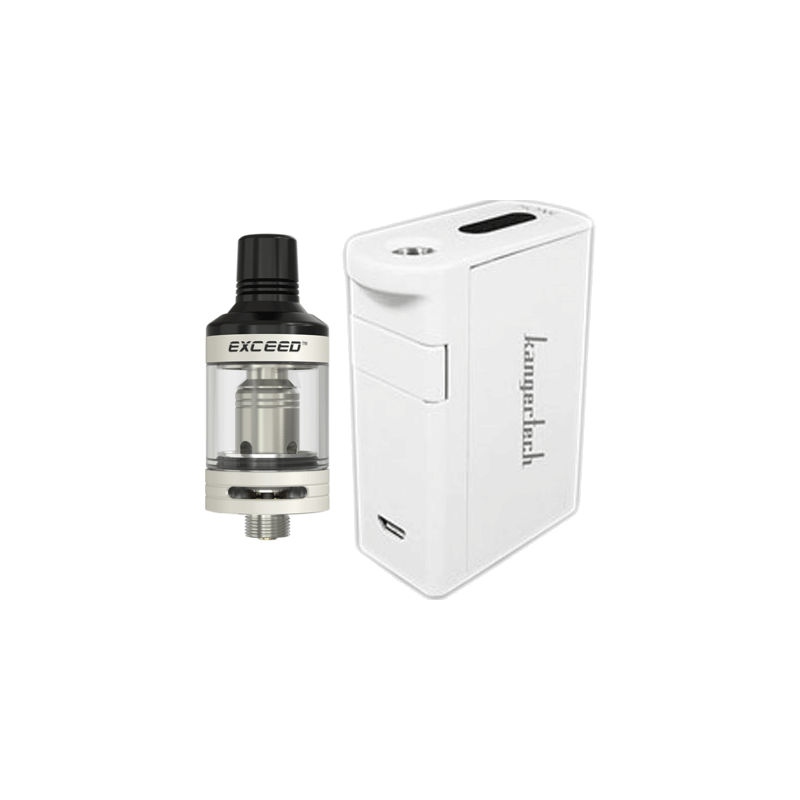 The Kanger KBOX Smart MOD is fabricated with extremely high-grade materials to ensure rigidity and resilience. The body is constructed with 304 stainless steel, which is composed of several materials, including chromium, nickel, manganese, and silicone. The outcome is a durable, solid, and relatively lightweight MOD that is highly resistant to rust, corrosion, and weathering. The KBOX Smart MOD’s dual-coated exterior paint further helps protect it from the elements as well. The Kanger KBOX Smart MOD is powered by a massive 3,000 mAh internal battery. This extremely high capacity will permit you to use your device throughout the day without needing a recharge. 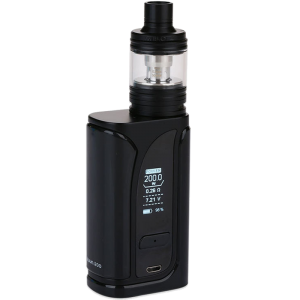 It is truly impressive that Kanger was able to equip the KONE with such a large battery capacity given its relatively compact stature. When the battery has ultimately depleted, you can easily charge it with the included USB charging cable on your computer, outlet, or any charging device with a USB port. 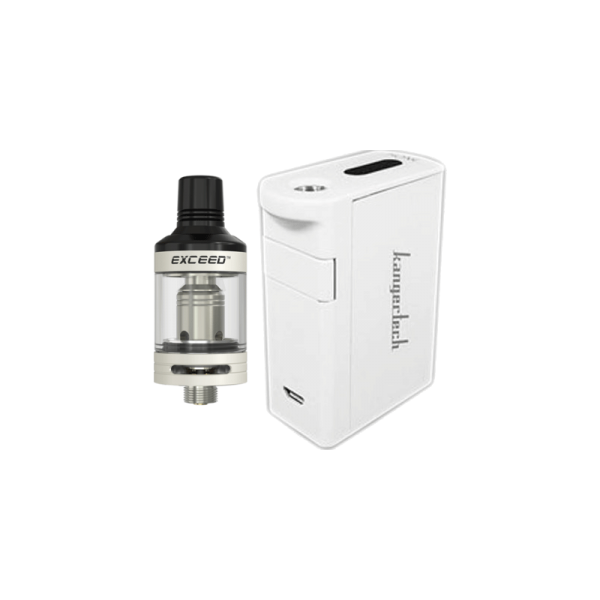 Kangertech intelligently furnished the KBOX Smart MOD with a five-color LED battery level indicator. As the battery’s power slowly depletes, the color of the LED light will change accordingly. This provides you with ample warning as to how much longer the KONE can be used before needing to be recharged.